Yamaha’s 8300 Series Field-Corps multi-toms offer a pure, focused tone that is maximized by a deeper, more balanced set of multi-toms. 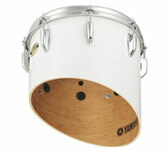 These toms are equipped arch-shaped lugs that allow the shell to vibrate freely, delivering greater tone. The Field-Corps multi-toms are also equipped with a 2.3mm thick, steel UltraHoop™ rim that protects the bearing edge from mallet sweeps, which is especially important as the rim height lowers. 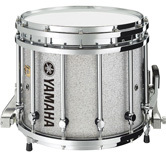 A high-strength aluminum reinforcement ring inserted just below the bearing edge to maintain shell integrity—especially when high-tension tuning is used. All Yamaha marching multi-toms are made using Yamaha’s patented Air-Seal System which ensures that the shells start round and stay round: an in-round shell tunes clearer and provides a pure fundamental tone. 6 ply birch shells enhance mid-range tone, while a high-strength, aluminum reinforcement ring inserted just below the bearing edge maintains shell integrity, allowing for extreme, high-tension tuning without the risk of warping. 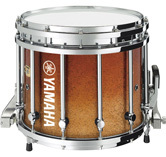 Additionally, since the wood bearing edge of the drum contacts the drum head—not the reinforcement ring—a quality transfer of vibration energy occurs offering a pure and consistent sound. The 8 ply birch shell on the 6″ multi-tom (MQ-8206) maintains shell integrity without a reinforcement ring and clearly projects upper register tuning. 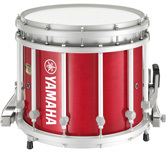 Enhanced Maximum Tonal Projection (MTP) cut offers an articulate sound and a focused fundamental—perfect for precise projection of tone in competitive marching situations. 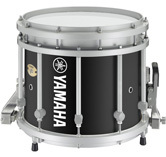 This extensively researched cut delivers maximum performance from the shell while providing optimum balance between each of the toms. The Enhanced MTP multi-toms are 1″ to 1.5″ deeper than previous Yamaha models. Yamaha Field-Corp toms are made of a light, die-cast aluminum lugs, with a unique arch-shaped center. This unique design decreases surface to surface contact between the shell and lug permitting the shell to vibrate freely, resulting in greater tone production. These lug designs are 50% lighter and 12% stronger than the previous lug design. 2.3mm steel UltraHoops with unique inward profile help protect the bearing edge from mallet sweeps. The rims also ensure true tuning and shape retention, even under extreme tension and heavy rim shots. 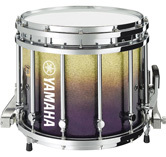 Field-Corps multi-toms are available in multiple configurations including small and large trios, quads, quints, and standard sextets as well as the Yamaha SUMO toms. 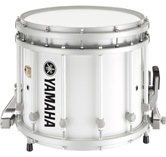 The SUMO configurations feature a flat-cut 8″ tom that can be used to replace the 6″ drum in both quints (MQT-80234) and sextets (MQT-680234). SUMO toms are available only a Biposto Tenor Carrier and the Free Floating Lug Bridge System by May™. Steve Weiss Music also offers Yamaha custom marching snare drums and Yamaha custom marching bass drums. 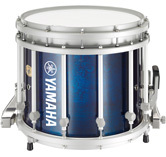 Looking for more information or ready to start building your custom marching drum? Give us a call at 1-888-659-3477 or use the form below to contact us.